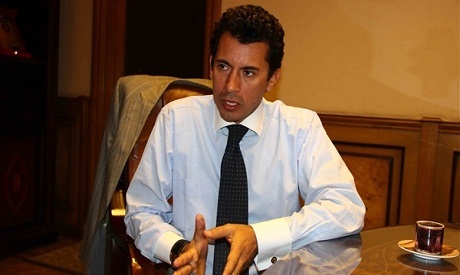 Egypt's Sports Minister Ashraf Sobhy reasserted on Monday that there is no intention to cancel the current season of the domestic league, denying any reports suggesting that he hinted of cancelling the season over the country's hosting of the African Cup of Nations next summer. President of Egyptian club Smouha Mohamed Farag Amer said on Monday that Sobhy told him that the domestic league cannot be completed due to Egypt’s commitments towards the prestigious African tournament and the busy schedule of the Cairo giants Ahly and Zamalek. "I said previously that the ministry firmly stands against the cancelation of the domestic league," Sobhy told ON Sports radio station on Monday. "I have not spoken to anyone regarding this matter." On 8 January, Egypt was granted the hosting rights of the 2019 African Cup of Nations after winning a majority of votes of the executive committee of the Confederation of African Football (CAF). Egypt and South Africa were the only two countries to submit their candidacy to become the 2019 host. Egypt has previously hosted four editions of the cup: in 1959, 1974, 1986 and 2006.